We build fresh, custom designed Australian mortgage broker websites that attract and convert online home loan enquiry. 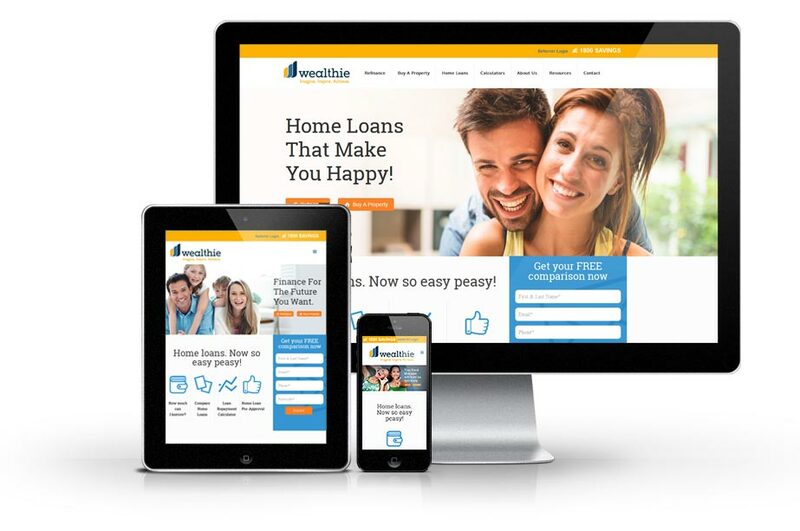 Webbuzz are the people behind Wealthify Mortgage Lead Generation. We specialise in generating quality online mortgage leads via your website or landing page. 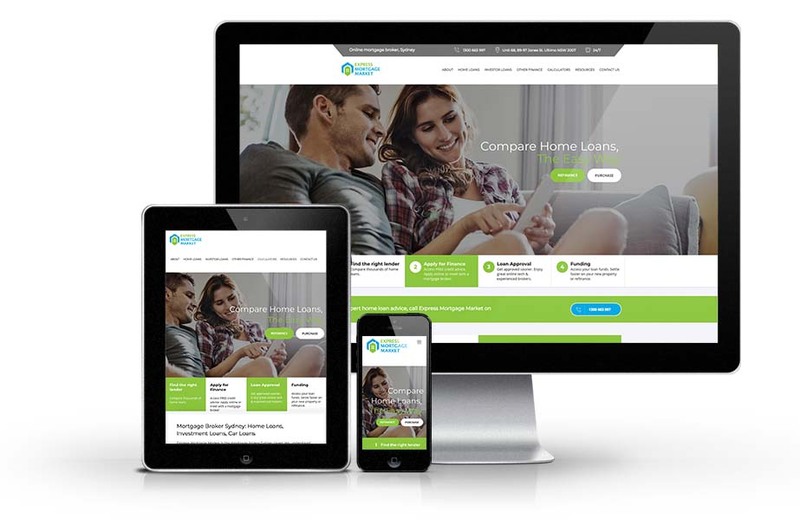 Drawing on years of experience, our team of web designers specialise in creating fresh, dynamic Australian mortgage broker websites that attract and convert online home loan and mortgage finance enquiry. We use ‘buyer personas’ to build-out user profiles, and then write web copy and curate images to create a ‘look and feel’ that is extremely appealing to the target market. 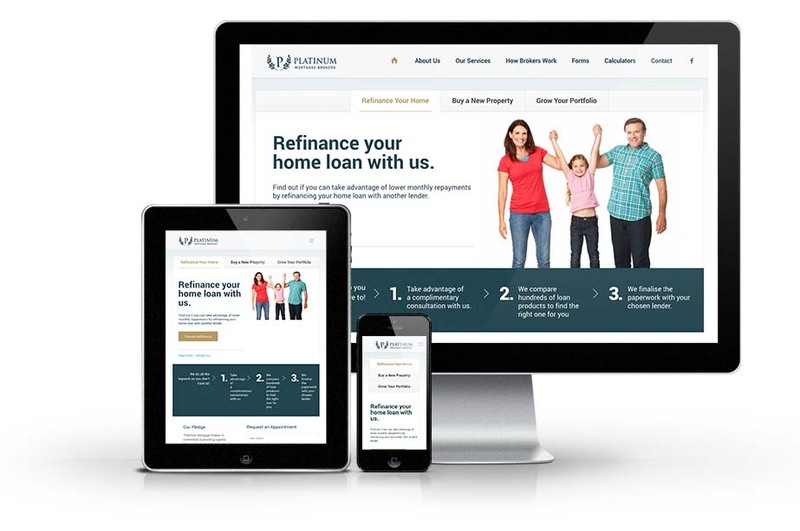 Our mortgage broker websites use a latest-gen mobile-friendly platform that has been extensively optimised for Google search. We usually build the website navigation and design as ‘light’ and ‘clean’, with the website itself as very ‘dense’ and content rich. If the broker chooses to do Search Engine Optimisation (SEO) we would create many pages of keyword-rich content around borrowing, mortgages, and finance to attract Google searchers. For larger (or small business) websites we can install a web-based CRM in key website pages to capture enquiry data for conversion into leads for the business. 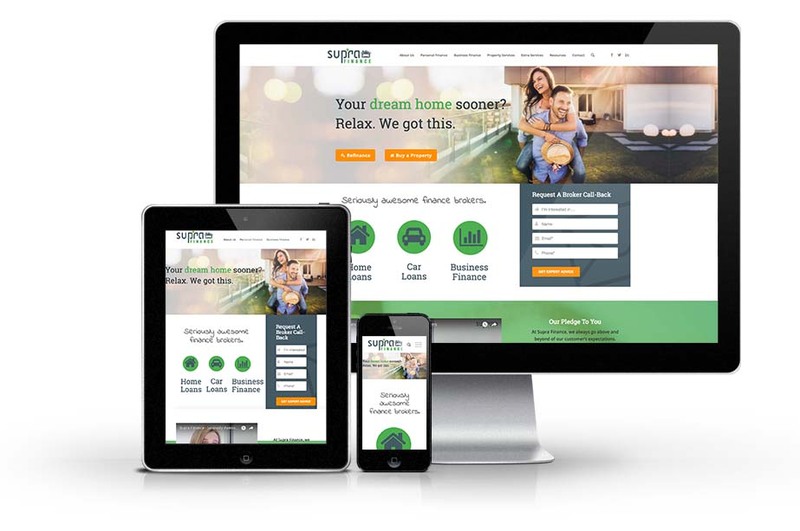 The result is a professional website that can compete with large franchise operations such as Aussie and Mortgage Choice, but has been built at a fraction of the cost.